Several years ago, I read about an unnamed artist making drypoint engravings (sometimes referred to as drypoint etchings) from sheets of drafting film. Mylar, or drafting film, is used in architectural and commercial drafting. Drafting film looks like translucent plastic; it’s made from thin, flexible polyester sheets that are available in glossy and matte surfaces. 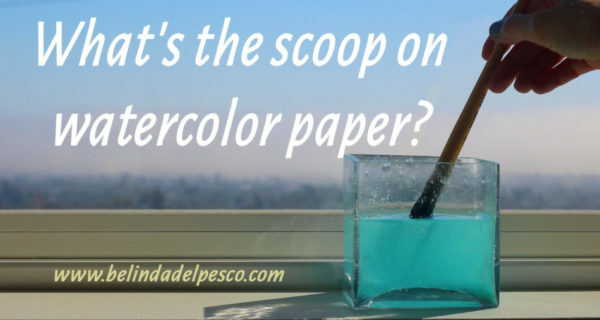 Artists use the glossy version as an oil painting palette, or to make oil paint monotypes, and the matte version can be used like paper for drawing with colored pencil, pens, charcoal, marker and an assortment of other media. Pulling the drypoint print off the sheet of engraved, inked and wiped mylar after a trip through the press. I printed an edition of five drypoints from a single sheet of matte finish Dura-Lar brand drafting film. My drypoint was incised with a cork-handled scribe, and then inked with water-based printmaking inks, wiped with tarlatan cloth, and then pressed to BFK Rives printmaking paper on an etching press. If you’d like more details on the process, I’ve linked a drypoint demonstration video below. Want to make a Drypoint? A list of supplies with links is at the bottom of this post. If you give this wonderful printmaking process a go, please come back and share links to your work in the comments so we can all see your art-making adventures. There is a lovely article with inspiring images of Deborah Boschert’s art quilts in this month’s textile artist post. Read it here. Leonie Conellan has another drypoint demo that includes using photoshop to capture your image and then creating a drypoint from the print-out on plain old cardboard. Check that out here. Christies posted a beautiful little video about Rembrandt’s etchings featuring printmaker Alexander Massouras. The artist describes the difference between etching (using acid to incise the plate) and drypoint (created with a sharp point – no acid). Watch that video here. The most frequent question I get – face to face and via email – is about marketing. If you’re one of the curious, let me know in the comments. I took a course on marketing four years ago. It was a game changer. The tornado of online marketing directives I harvested via searching on my own were finally, in this course, streamlined into a doable list, served in the right order, with instructions and strategies that made so much sense. I’ve attended every one of their live events, and I refer to my notes from the course every week. The same instructors are opening the course online again for a limited time (it sells out) in May. Are you interested? I hope you’re acting on your creative urges, and working with your art supplies frequently. Thanks for stopping by and I’ll see you in the next post. P.S. You can subscribe to get each new post via email by signing up here. If you have any questions about the process, please leave them in the comment section, and I’ll do my best to answer them quickly! Happy printing! I have access to an etching press where I teach. I was interested in purchasing one for my studio. However the price and size of the one you recommend are prohibitive. I found the one linked here on Amazon. It is affordable but the reviews state it is a fail. What do you think about making the purchase? Hi Alaiyo, I’ve never used that press, but just looking at the way it works, I wouldnt get it for my studio. There’s no press bed – nothing to lay your plate on, so it would take some fenageling to push a plate and paper through the rollers, while turning the crank, and stabilizing the whole assembly from jumping around from your earnest efforts. Are you interested in working small to start? Do you know of the facebook group dedicated to using embossing machines (https://amzn.to/2GmEC3f) as presses? https://www.facebook.com/groups/1544918272204523/ Perhaps explore that as an option? Thank you so much! I’ve been doing drypoint on sheets of acrylic, but my hands are really too old for that! This looks like it’s easier to make a mark. I was working from an Akua starter set, but I broke down and bought an individual jar of Mars black, and it is soooo much softer than what I was working with. I hope this cuts down on some of my problems. Hi Kirsten, If your hands get fatigued, try doing your line work with an electric engraver – like this one: https://amzn.to/2PlHKAn I’m glad your mars black made a difference in your printmaking. Was it Akua’s Mars Black, or a different manufacturer? Hi Belinda, I am interested in the marketing course. Keep me posted. Have a great show in San Diego, we will see you soon! Is oil based ink better than water based ink when making a drypoint print? Is it possible to use a barn instead of a press? It depends on the ink. Some water-based inks dry really fast, and they wouldn’t work at all. They have to be Intaglio inks, so they stay wet – whether oil based or water based. ANd within each type of ink, there are modifiers to increase or slow drying time, or thicken or thin the ink. 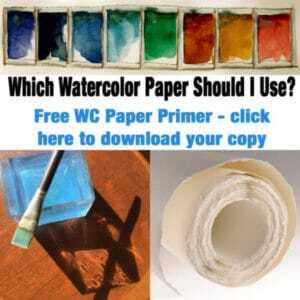 Do you already have some printmaking ink? Marketing is so important and the most confusing…..Yes, I am interested about the marketing course. Thank you,. Hi Gabriele – In the past, I’ve thought that artists weren’t meant to have marketing brains, but then I see hugely successful artists doing really well, and I realize that it’s ALL about their marketing skills, which can be learned like anything else. The trick is, I think, to get good instruction. The course I took was *amazing*. I couldn’t take notes fast enough. 🤪 I’ll keep you posted. Hi Marie, Yes, I’ll send you details when I get back from the San Diego Artwalk in 10 days. Here is my direct email address if you have questions about it: bdelpesco@mac.com And thanks for your news of the Bonnard article, and your compliments! Dura-Lar sounds like a winner when it comes to storage. Or, can be easily tossed out if you don’t collect your engraved surfaces. Hi Sally, I agree… there are plenty of sheets in a pad, and if you cut those down to smaller plates, tossing the Ooopsies in the trash is not as much of a loss as a plexiglass plate or a sheet of copper. And yes, storing them is easy. Each of my plates, and their matching sheet of matboard for use on the press goes into an envelope with reference materials, artists proofs, the the edition, etc. Easy-peasey!